North Bay is a caring community of energetic, high-spirited people. The combination of lush forests, spring-fed water and clean air creates a healthy environment for working, living and raising a family. 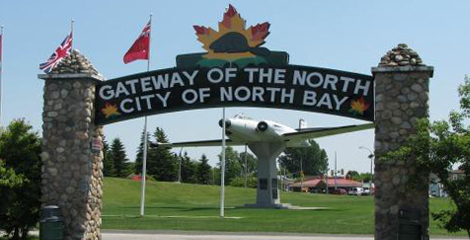 Safe, friendly, well-planned neighbourhoods also make coming home a pleasure in North Bay. Situated between Lake Nipissing and Trout Lake, the City offers lakefront property in both urban and rural settings. The short distance between home and work allows more time to enjoy the wealth of parkland and leisure facilities. Housing in North Bay offers a variety of options depending on whether you prefer the urban or rural location. Country settings are available within minutes of the downtown core and provide an array of attractive living alternatives. A variety of recreation opportunities exist in the community provided by the natural environment trails for walking, biking, or hiking, as well as, those programs and services offered by the municipality and other community service providers. Activities for all seasons including: beaches, a municipal marina, golf, arenas, skiing and snowmobiling. Multi level educational opportunities, and four local school boards offer elementary and high school programs including English and French language curriculums. Special focus on arts, drama, and athletics are offered by different schools. Technical training to professional programs, are served by a wide range of diploma courses at Canadore College and Degree programs at Nipissing University . CTS Canadian Career College offers Diploma programs for in-demand careers delivered by industry experienced instructors that cater to the students all in under a year! Comprehensive medical services are provided by a fully-accredited medical hospital. The community also offers services for specialized family needs through a number of social service agencies.